There’s a disturbing trend going on in the Granite State, and has exceeded the fatality rate over traffic accident related deaths. According to latest statistics, heroin and other addictive substances killed about 300 people last year. Out of those deaths, 97 were caused by heroin addiction or its variants and combinations. Even in a small town like Dover, there have been seven drug-related deaths in the last six months, averaging about two overdoses a week. Several possible factors account for the heroin epidemic, such as the recession which causes depression enough for people to turn to drugs for comfort. The state also seems wanting in terms of state resources for prevention and treatment education, as well as imposition of tighter measures on heroin prescriptions. According to some sources, the drug is quite easy to manufacture in clandestine laboratories. Implementation of drug laws in the state didn’t seem adequate to curtail drug abuse. What’s more disturbing is that there is really no fixed profile of a typical heroin addict. Anyone can be a user, from a high schooler to a 69 year old retiree. The person could be working in a factory or corporate office. Many parents, educators, and employers in the state are clueless when it comes to spotting the symptoms which could have led to prompt treatment and rehabilitation to aid the addict in getting back to a normal life. They also don’t have the expertise to deal with a confirmed case of addiction. It is often the case that the heroin addict does want to get help for his condition but is unable to do so because of very heavy dependence on the drug. Withdrawal symptoms are also quite difficult to cope with; hence there is a need to get professionals to handle this phase of addiction. Educate youngsters at home or school about the dangers of heroin. Be sympathetic and open to their emotional needs. Don’t scold children because of academic problems or misbehavior. Often these are signs that they need your love and attention. Work closely with a medical professional and a counselor on dealing with heroin addicts. Don’t shun or deny the problem. Face it head-on by getting immediate help. As soon as possible, find a suitable treatment and rehab facility. 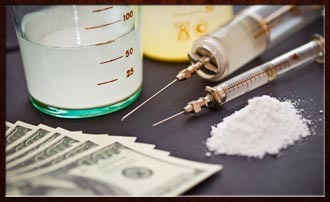 If your loved one incurs heroin charges, seek the services of a NH criminal defense attorney immediately.